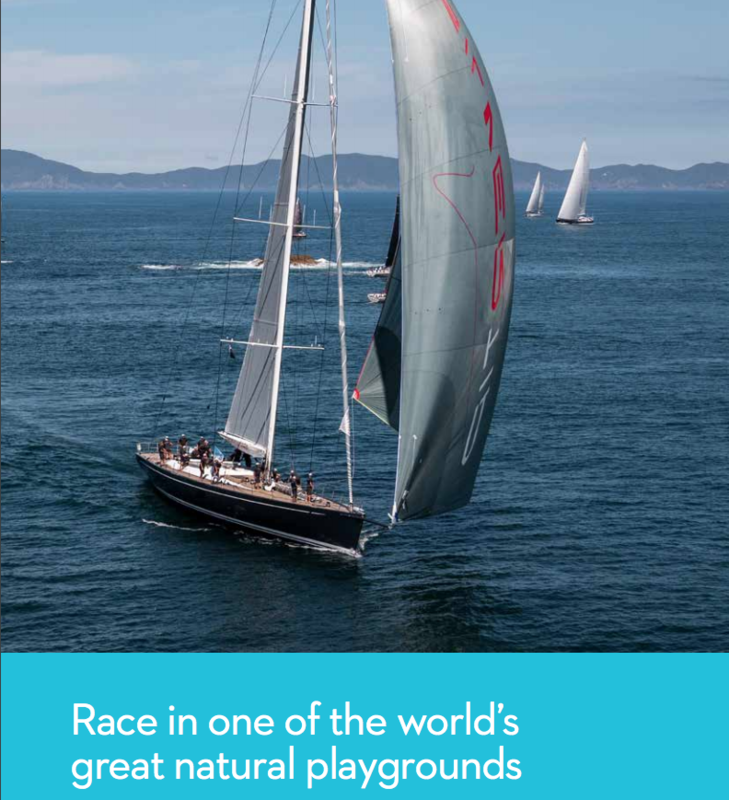 Thanks for your interest in the NZ Millennium Cup; the race that takes place in one of the world's great natural playgrounds. Please find an invitation to race, sailing programme, entry form, and notice of race below and if we can help with further information please don't hesitate to contact us. Competitors participate in the regatta entirely at their own risk. 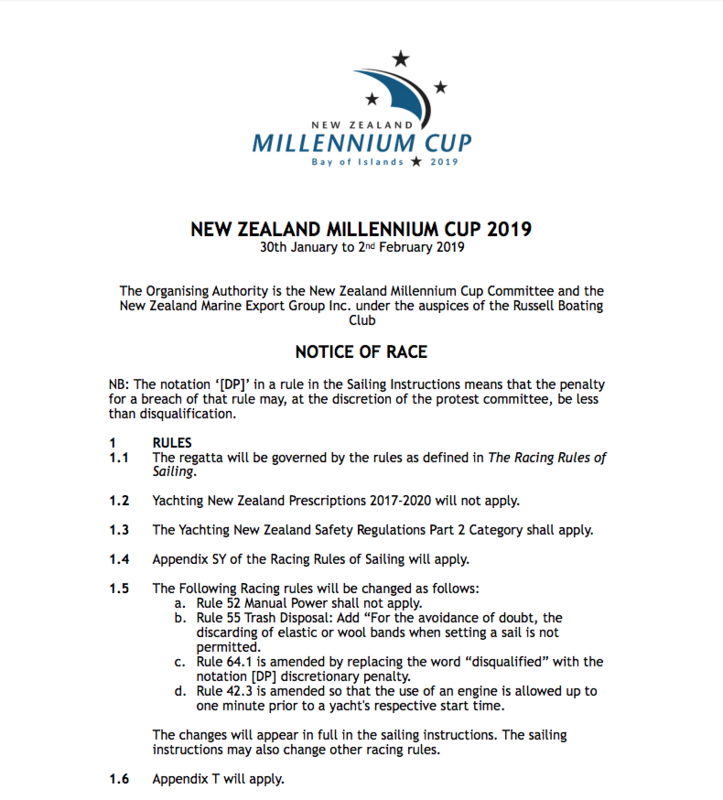 Competitors agree to take any and all responsibility for the nautical qualities of their boat, the rigging, the crew’s ability and the safety equipment. 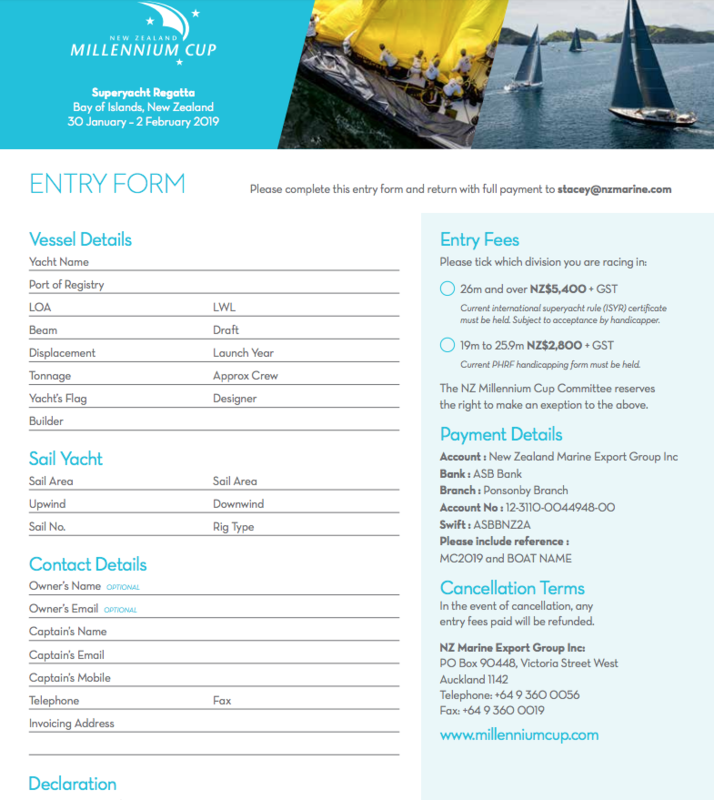 NZ Marine, NZ Marine Export Group, Russell Boating Club and each of their respective sponsors, contractors, volunteers and all other affiliated organisations and individuals, will not accept any liability for damage to property or personal injury or death sustained in conjunction with, prior to, during, or after the regatta. NZ Marine, NZ Marine Export Group, Russell Boating Club and each of the their respective affiliates, sponsors, agents, employees, officers, directors and contractors (the “Released Parties”) are not responsible for any damage to property or personal injury (including death) sustained in conjunction with or prior to, during, or after the regatta and, as a condition of participating in the regatta, each participant releases all claims that it may have against any of the Released Parties for any damage to property or personal injury (including death) sustained in conjunction with or prior to, during, or after the regatta. A Competitor shall be responsible for any and all property damage and personal injury (including death) incurred by yacht, its owner, its captain, its crew members, its guests and/or any third party while the yacht is in or about Russell which arises from the actions or inaction of the yacht, the owner, the captain or crew or guests of the yacht or which arises from the yacht’s presence in or about Russell, and the competitor shall indemnify, defend and hold harmless NZ Marine, NZ Marine Export Group, Russell Boating Club and each of the their respective affiliates, sponsors, agents, employees, officers, directors and contractors (the “Indemnified Parties”) from any and all claims, losses, damages and liabilities suffered or incurred by one or more of the Indemnified Parties in respect of the same.